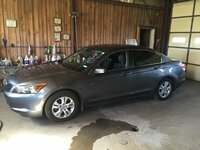 Looking for a Used Impala in your area? CarGurus has 21,222 nationwide Impala listings starting at $950. The 2010 Chevrolet Impala gets good marks for its performance, suspension, and handling, and offers a spacious trunk, making it a good choice for drivers who need a five-passenger sedan that also can carry lots of gear. Chevy has discontinued the well-reviewed, high-performance Impala SS for 2010, and many owners still complain about the Impala's rear-seat space and the low quality of its interior materials. With a redesign of the Impala pushed off to a future year as GM reorganizes and repositions many of its vehicles, the Chevy Impala returns for 2010 with a design that feels somewhat dated and an interior in desperate need of a makeover. On the plus side, the Impala retains its popular engines and well-reviewed suspension. With GM offering discounts for many of its cars, the Impala could represent a good value for savvy buyers who like to stick with American-made vehicles. Chevrolet streamlines the Impala lineup for 2010, putting the brakes on the 303-hp V8-powered Impala SS trim, which disappears from showrooms, and laying to rest the long-whispered rumors of a rear-wheel-drive Impala SS, which some auto observers thought would materialize this year. No doubt the decision had a lot to do with GM's current woes, the recent energy and economic crises, and the realization that V8s are no longer as desirable among buyers as they once were. 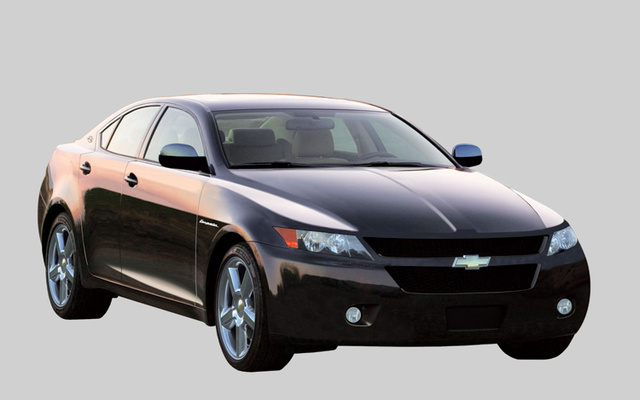 So for 2010, the Impala lineup slims down to just three trims - the base LS, the mid-range LT, and the top-of-the-line LTZ. By this point, the Impala's current design, which debuted in 2006, might look a little dated to some prospective buyers, and without its top-of-the-line trim and most powerful engine, some might find the Impala somewhat mediocre when it comes to performance numbers. On the plus side, Chevy offers the Impala with proven FlexFuel-capable V6 engines, which can run on either regular gasoline or E85 fuel, a blend of 85 percent Ethanol and 15 percent gasoline. The Impala also carries over with its well-reviewed suspensions in place, resulting in agile handling and good ride comfort. For 2010, the base LS and mid-level LT trims retain the previous year's 3.5-liter V6 engine, which produces 211 hp and 214 lb-ft of torque. For drivers who want a bit more power and acceleration, a 3.9-liter V6 engine, generating 233 hp and 240 lb-ft of torque, comes standard on the LTZ trim and is available on the LS and LT trims as an option. Both V6 engines are E85 friendly, and both link to an electronically controlled four-speed automatic transmission with overdrive. The LS and LT with the smaller V6 engine achieve fuel economy numbers of 19/29 mpg, while the LTZ posts numbers of 17/27. 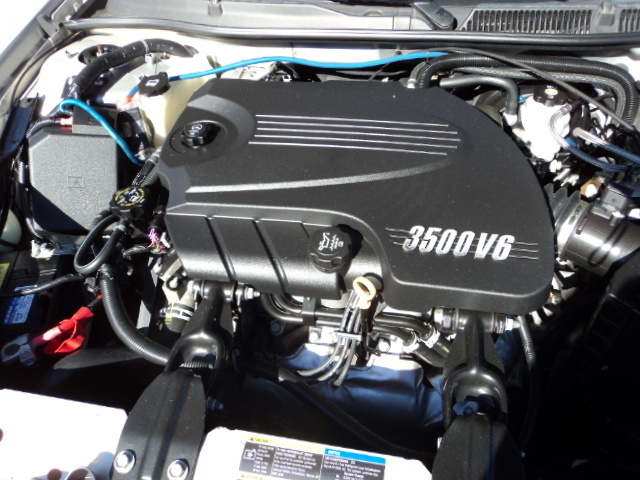 Both engines can be loud, but pleasantly so, according to reviewers and owners. When pushed, the V6s respond with an aggressively pleasing crescendo of sound and fury. Both engines include an oil life monitoring system, which alerts drivers when it's time for an oil change. 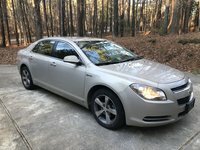 All 2010 Impala LS and LT trims ride on a GM four-wheel Touring independent suspension, which provides a comfortable ride and good handling, although some owners consider the suspension too soft, resulting in some float and wallow. That floatiness disappears with the LTZ trim, which gets an upgrade to a four-wheel independent suspension with Luxury Tuning. The upgraded suspension improves the front-wheel-drive sedan's agility and handling and provides better overall balance. Although no one calls the Impala sporty, it generally delivers good handling, with quick response and precise steering that should appeal to potential drivers seeking a competent, capable family sedan. Also, the Impala's ride and handling improve proportionally as the wheel size increases. The base LS trims come standard with 16-inch steel wheels and all-season tires, while the LT gets 16-inch aluminum wheels and all-season tires. The LTZ comes standard with 18-inch aluminum wheels. While the standard front bucket seats are comfortable for long-distance driving, some drivers and passengers find the optional front bench seat uncomfortable for anything other than short trips. In addition, road, wind, and tire noise tend to permeate the cabin, some note. The Impala's interior carries over from the previous year with minimal changes. Drivers will find the Impala's controls and gauges well-placed, easy to read, and intuitive to use. The LS comes standard with a four-gauge analog cluster with a speedometer, tachometer, coolant temperature, fuel, trip odometer, and Driver Information Center displays, while the LT and LTZ upgrade to a Deluxe four-gauge cluster, which adds outside temperature and compass displays. Standard interior features for all three trims include dual-zone climate control, remote keyless entry, cruise control, a tilt steering wheel, and power windows and door locks. The front bucket seats in the LS and LT trims have cloth upholstery, while the LTZ offers leather upholstery (optional on the LT trim). In addition, a leather-wrapped steering wheel comes standard on the LT and LTZ trims. The driver's seat on the LS and LT trims features six-way power adjustment, while the LTZ tops that with its eight-way power-adjustable driver's seat and six-way power-adjustable passenger seat. Wood-grain applique on the instrument panel and doors adds an upscale feel to all three trims. A six-speaker AM/FM audio system with a CD player, an MP3 input jack, and XM satellite radio comes standard in the LS and LT trims, while the LTZ gets a Bose eight-speaker audio system (optional in the LT trim). Bluetooth wireless technology also comes standard on the LTZ. In addition, all three trims include standard OnStar with such features as remote door unlock, roadside assistance, vehicle diagnostics, automatic crash response, and emergency services. Drivers and passengers will find plenty of headroom and legroom in the front seats, and slightly less in the back. The trunk is spacious, offering 18.3 cubic feet of storage space, although getting larger objects into the trunk can be tricky due to its inconvenient opening. A remote trunk release and interior trunk release safety handle come standard. Although the 2010 Chevy Impala has not yet been subjected to safety tests, the '09 Impala scored five stars in front-impact crash tests conducted by the National Highway Traffic Safety Administration, and four stars for rollover resistance. Standard safety features for the 2010 Chevy Impala include front side-impact, side-curtain head-impact, and dual-stage front airbags with a passenger sensing system. GM's StabiliTrak electronic stability control system also comes standard. Other safety features include four-wheel antilock brakes, a tire pressure monitoring system, and daytime running lights. The Chevy Impala gets good marks from owners for its performance and suspension, as well as its handling and ride quality. The leather upholstery and spacious trunk are also singled out by owners for positive comments. Most owners consider the Impala a solid, capable car. The quality of interior materials, however, rates below par, according to many owners, who complain about the car's interior fit and finish. 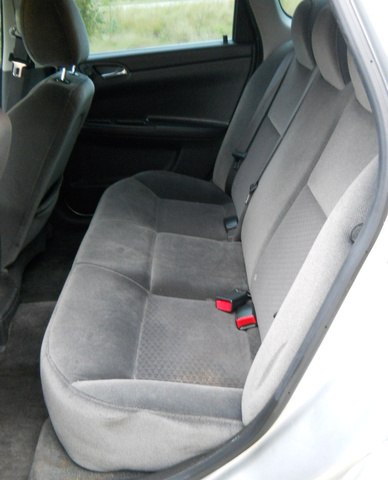 Many also find the back seat too small for three adult passengers and complain about a small gas tank as well. Fuel economy gets mixed comments, with some finding it adequate and others disappointed. Overall, long-time Chevy fans are pleased with the car, and feel it continues in the long tradition of Chevy Impala sedans. Rob has been a contributor to CarGurus since 2007, and an automotive test-driver and writer since the early ’90s. He’s test-driven everything from BMWs and Jags to Bentleys and Saabs, with an occasional Range Rover, Ferrari, Porsche or Lamborghini thrown in. He also created the annual Car of the Year and Exotic Car of the Year awards for Robb Report magazine. He currently resides in California. What's your take on the 2010 Chevrolet Impala? Users ranked 2010 Chevrolet Impala against other cars which they drove/owned. Each ranking was based on 9 categories. Here is the summary of top rankings. Have you driven a 2010 Chevrolet Impala? 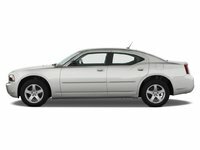 I have a 2010 Impala that needs a door and fender. Will parts from a 2002 work?